The Hemel Hempstead School is based in Hemel Hempstead, Hertfordshire. 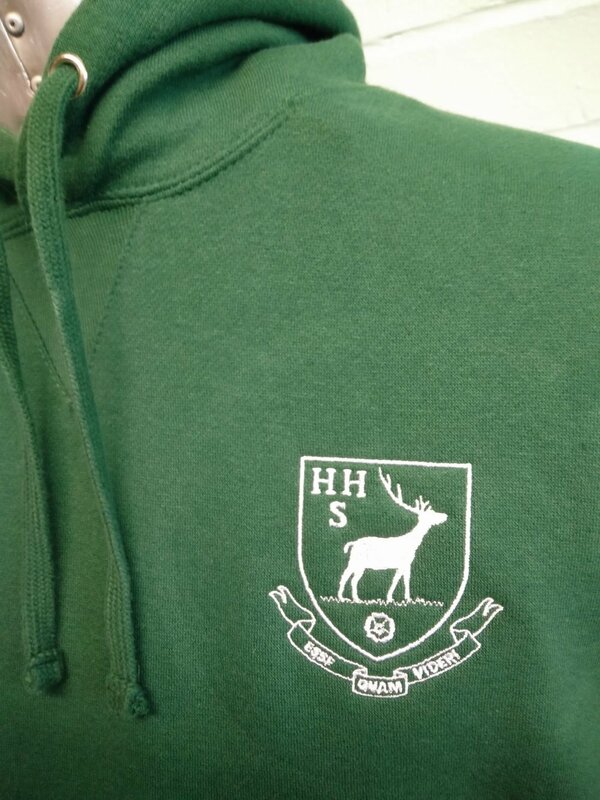 The leavers hoodies created for The Hemel Hempstead School class of 2016 leavers contrast with their blue school uniform, as they’re a very smart, sophisticated green! Simplicity and style is key with these leavers hoodies, as the school emblem (which is usually blue and yellow) has been embroidered onto the front of the leavers hoodies, in white. 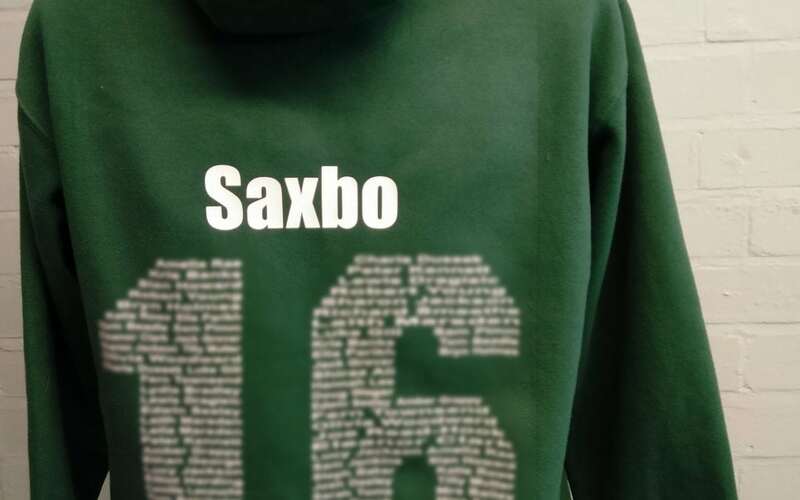 Also in a matching white, are the names of the class of 2016, cleverly printed into the number 16 on the reverse of the hoodie. 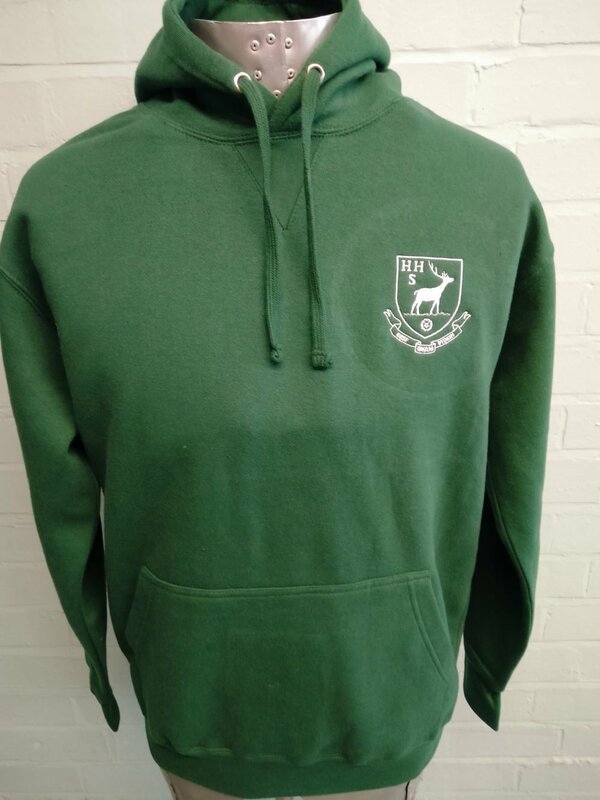 For a simple yet stylish leavers hoodie, which the leavers at your school are likely to keep and wear for many years after they have left, take a look at the many options we have available. From a wide choice of colours, to different styles of leavers hoodies, whatever you would like, we’ll be able to help. Once you’ve chosen the right hoodie, all you then have to do is decide on the personalisation – from printed names on the front, back or sleeves, to a choice of printed or embroidered school emblems. For advice on choosing the best leavers hoodie for your school or college, contact us via email at [email protected] or call 01858 461 686.